I’ve been looking for some new ideas to add to my holiday decorating repertoire this year. Last year, I added photos in small silver-leaf frames to the tree and we replaced the old style icicle lights outside for some silvery-blue larger bulbs. I typically don’t buy very many Christmas decorations because I just don’t have the storage room and I’d rather spend my money on accessories that are out more than one month a year. I decided that whatever I added this year needed to be multi-purpose. Then, one day I was scoping out Pinterest and voila- there it was! 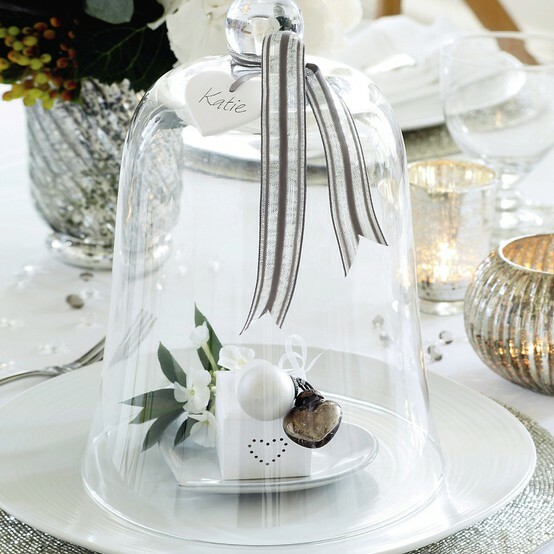 A beautifully adorned Christmas Cloche. My decision was made! 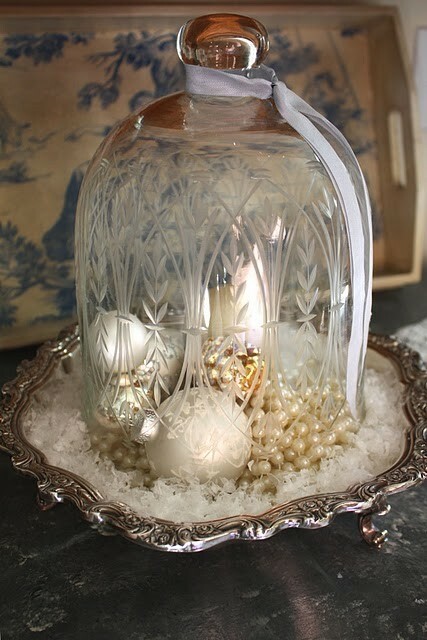 And I adore this cloche with bright ornaments and this red ornament cloche too! 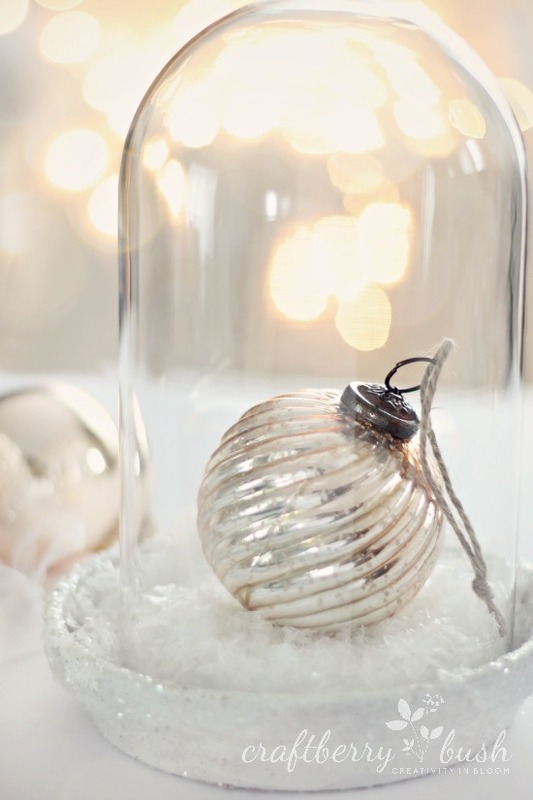 I haven’t decided where I’m going to put my cloche or what I will fill it with- pine cones, greenery, ornaments, lights, small packages…One thing I know is that it will be something I can change up over the seasons and I’m looking forward to that. Are there any new holiday decorating ideas you’re adding this year? Do you share my adoration for Pinterest? I love them all, but especially the simple elegance of the pine cone display…may be partly due to the unusually shaped cloche itself! Have a great day! Actually I think I like that one the best since I’m kind of a white, simple, nature kind of girl! But, the bright ornaments are eye catching too. So hard to decide what to do! I have been keeping my eye out for a cloche at my local thrift store, no luck yet. But I completely agree with you about the decorations. I’m all for mutli-seasonal. This year I’ve been inspired by nature – pinecones mostly and can use that decor from fall through winter. Score.